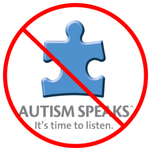 If you care about Autistic people…. I tweeted this out yesterday and I am still feeling the same way today. Autistic burnout isn’t a made up thing- I just wish it was easier to explain to people. It’s not an excuse and it’s not like I consciously (or unconsciously) decided to be perceived as lazy or unreliable. There’s such thing as ‘too much’ and I feel as though that’s where i’m at.